I love deveining foie gras. It means that we will be having foie gras for dinner. Brent did the cooking this evening. He kept it simple with with a hot pan for a sizzle on each side. He peppered. He salted, but he used big salt which really gave it that something. 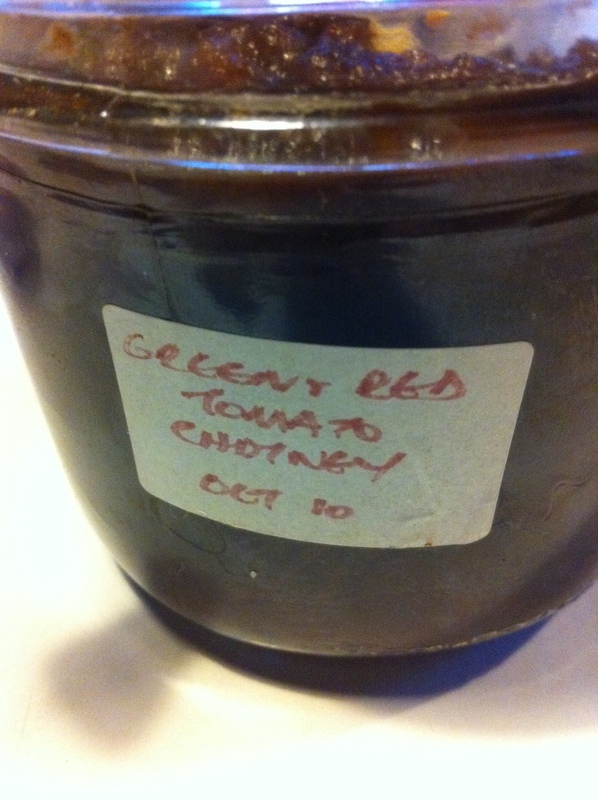 Served with a Pat original chutney involving green and red tomatoes. 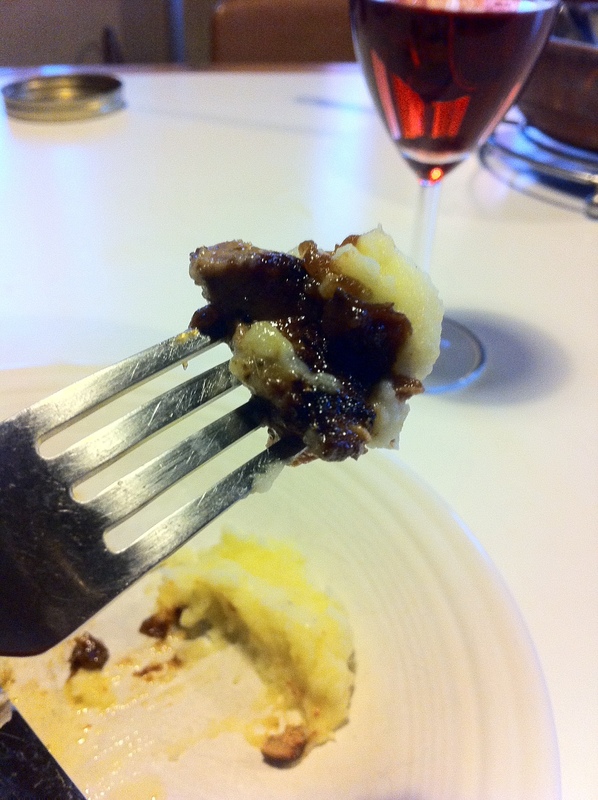 Some left over potato purée, just a wee bit, allowed you to do a foie gras, chutney, potato purée layering on your fork for a bite beyond bites. So good. Wish you were here. With foie gras, you need to perfect the balance of salt, sweet and spice. I thought the chutney version did the trick without all the work of fancy sauces. Okay, four more livers to go and we may get our consistency on. 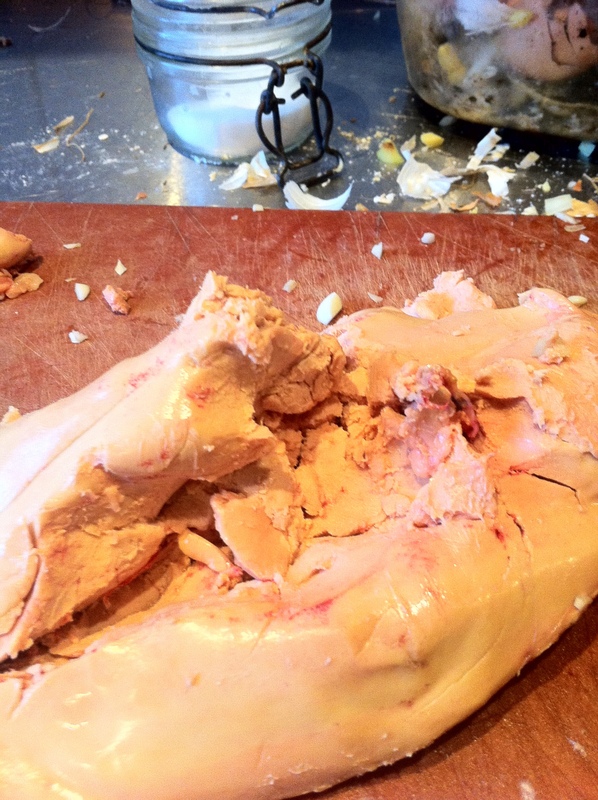 This entry was posted in Fleshy Bits and tagged cooking, foie GRAS, food. Bookmark the permalink.